What is Outdoor Retailer Anyway? 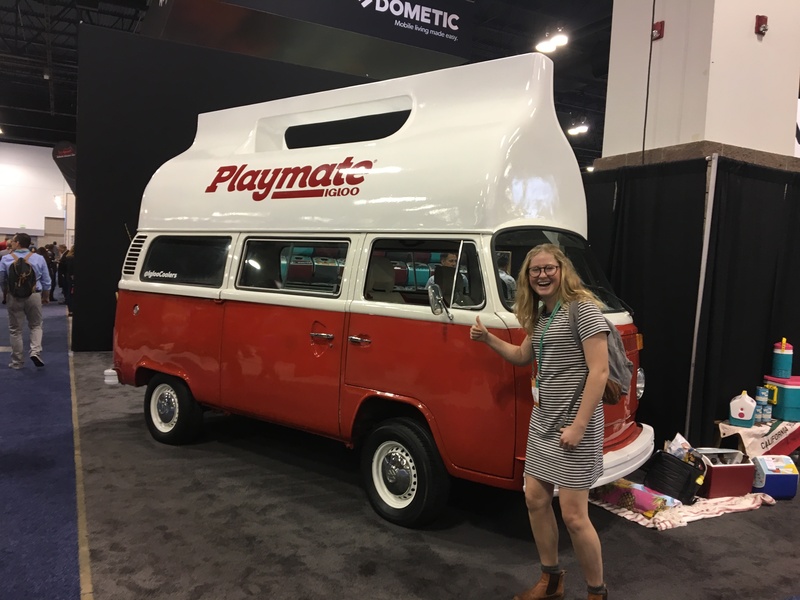 On my third and final morning at Outdoor Retailer Summer Market 2018, I strolled between booths savoring a maple soft serve cone topped with bacon bits—the outdoor industry version of a nutritious breakfast. I admired a new ultralight daypack and tried not to drip ice cream on it as I scribbled notes with my spare hand. Business as usual. 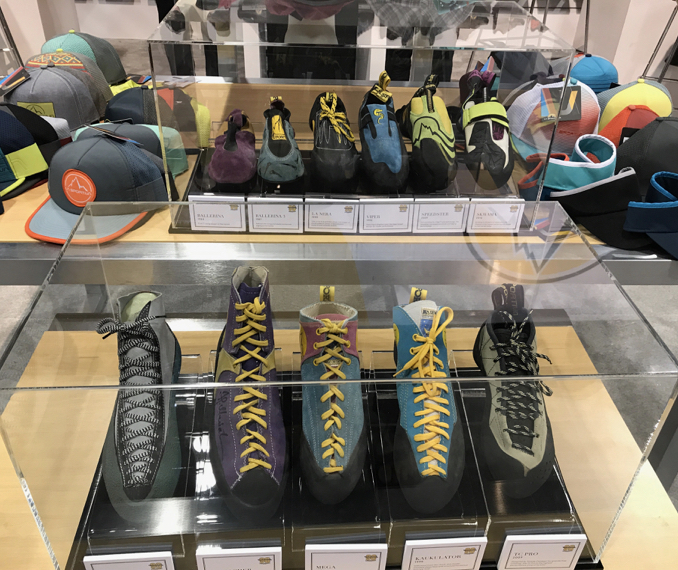 The show, which recently moved to Denver from Salt Lake City, took place over the course of four days and featured booths by over 1,400 brands exhibiting new products. Days were packed with panel discussions, lectures, workshops and happy hours. 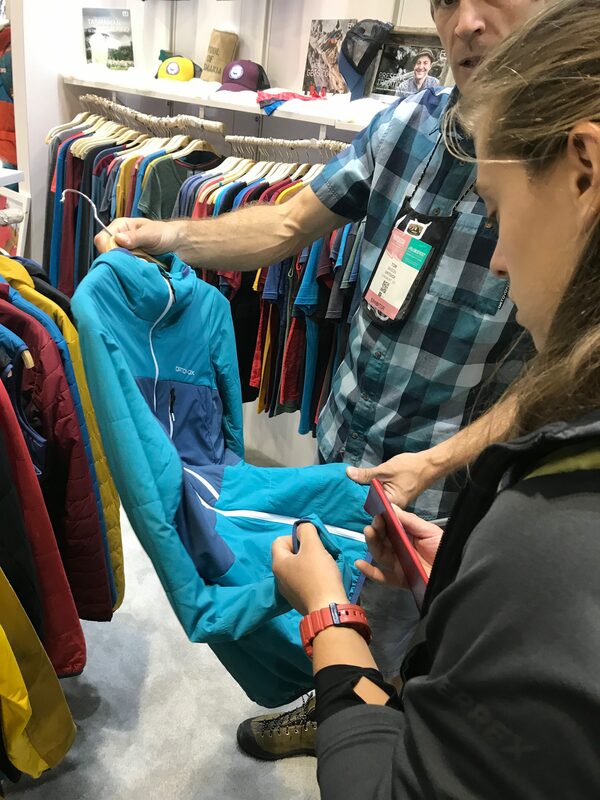 As the largest gathering of outdoor industry professionals, Outdoor Retailer (OR) attracts not only retailers and gearheads, but media personnel, entrepreneurs, and professional athletes. Attendees schedule back-to-back meetings, cramming months’ worth of business into a few short days. Deals are made, partnerships forged, and sponsorships upheld. The OR crowd is diverse in occupation, but the show’s atmosphere radiates a community feel that is almost familial; everyone at OR shares a common passion for the outdoors, and stoke abounds. I tagged along with the College Outside team with the personal goal to cover the show from a student’s perspective, network with industry professionals, and hopefully walk away with a bit of free swag. For the rest of the team, weeks of preparation culminated in three days packed with meetings focused on continuing to establish College Outside as the link between college students and the outdoor industry. Our week kicked off with Camber Outdoors’ Pitchfest, in which seven female entrepreneurs presented their budding business schemes to a panel of judges. Next, we headed to the Outdoor Foundation’s Outsiders Ball, a festive gathering to raise money for increasing youth participation in outdoor recreation. The crowds dispersed when a summer storm rolled in, but we stayed huddled under the bar and photobooth tents, making new friends and stuffing our bags full of free kombucha. Outdoor enthusiasts are no strangers to alpine starts and sunrise jogs, and OR was no exception. My college sleep schedule didn’t prepare me for the 5:30am wakeup on Day 1, but the energy at the Industry Breakfast event was palpable. We munched on pastries and listened to talks about the staggeringly high percentage of Americans who spend most of their year indoors. And then, it was show time. “I can’t wait to see your face when you walk in for the first time,” my co-intern, Abby, said to me as we sipped free cold brew coffees waiting for the showroom doors to open. At nine o’clock sharp we joined the crowd streaming up the escalators and onto the main floor of the convention center. Everyone wore badges printed with their name and company on a lanyard around their necks—it looked a little like freshman orientation. I stepped eagerly into the showroom and was overtaken by an onslaught of stimulation. Grandiose displays of gear sprawled from rows and rows of booths for a quarter of a mile in each direction. Massive signs with brand logos hung from the high ceiling, giving some direction to the maze of booths. Dogs on leashes dashed to greet one another; they each wore lanyard badges, too. We passed by The North Face, where a full-sized bouldering wall had been erected on the showroom floor. At Black Diamond, baristas in climbing t-shirts handed out cappuccinos. A van shaped like an Igloo cooler sat parked amidst the bustle, and an Airstream trailer, and, of course, a few Sprinter vans too. Abby and I wandered into the food section and nibbled on samples of energy bars, nut butters, jerky and freeze-dried lasagna. We chatted with sales reps about the newest tents, socks, ukuleles, jackets, and more. We handed out a few business cards and collected dozens more. Around four o’clock in the afternoon, the tradeshow floor transformed for happy hour. Throngs of people congregated at the booths serving up the best free drinks. By day’s end, my legs were weary; my iPhone confirmed that I walked over four miles inside the conference center. Days two and three continued in a similar fashion. We rose first thing and stumbled back to bed each night exhausted from walking and chatting with strangers. On the trade show floor and at panel discussions and movie screenings, I brushed shoulders with famous athletes, bloggers, and instagrammers. I fangirled over the likes of climbers Conrad Anker, Alex Honnold and Maureen Beck. I didn’t have the guts to say hello to Emily Harrington or Alex Puccio, but I did pet each of their dogs, so I count that as a win. 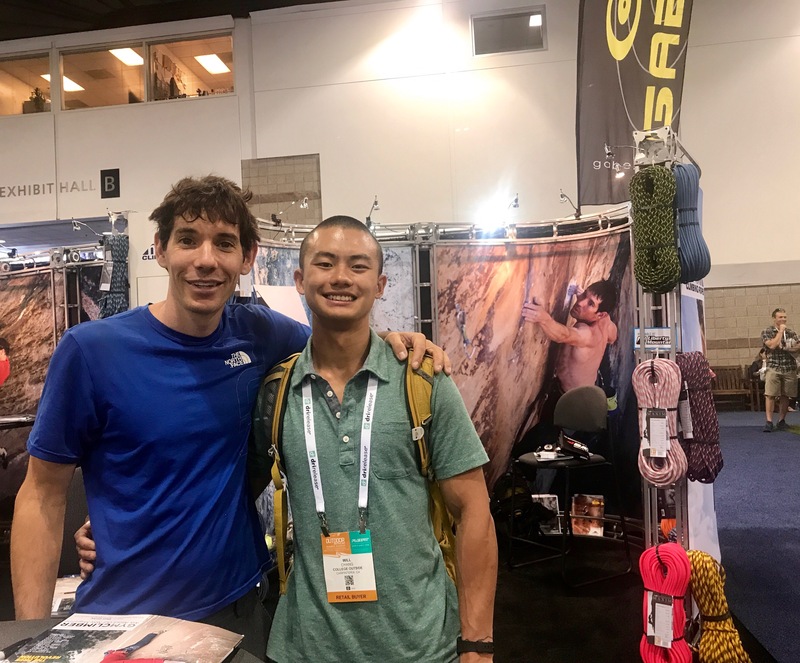 I worked up the courage to introduce myself to blogger/climber/podcaster Kathy Karlo, photographer Irene Yee, and Mikhail Martin, founder of Brothers of Climbing, an organization that promotes diversity in climbing. The best part about OR is that it’s not just about the gear. With so many members of the outdoor community gathered in one place—a rare thing for such an itinerant group of people—it’s an opportunity for discussions about the state of the outdoor industry and goals for the future. At lunch sessions and presentations in some of the larger booths, I listened to discussions on the environment and public lands, politics and advocacy, gender equity and inclusion in the outdoors and beyond, and so much more. As the show passed, one thing became increasingly clear to me: the outdoors community is one that cares about so much more than powder days and sending temps. The defense of public lands was central to discussions at the tradeshow, along with broader conversations on protecting the environment. I attended a panel on water quality and scarcity that brought together paddlers, fishermen, and speakers from the Nature Conservancy and the National Park Service in celebration of the 50th anniversary of the Wild and Scenic Rivers Act. The panelists discussed the profound economic impact of outdoor recreation, a reminder of the political clout that the outdoor industry maintains. A second event entitled, “When Women Lead,” featuring successful industry professionals such as Shelma Jun, founder of Flash Foxy and the Women’s Climbing Festival, and Aisha Weinhold, founder of No Man’s Land Film Festival. The discussion surrounded gender equity in an industry historically controlled by men, but also hit on topics of race, ability, and sexual orientation in outdoor leadership. Perhaps my favorite panel discussion was entitled “Brand Advocacy in Today’s Political Environment.” Representatives from REI, Outside Magazine, Tahoe Mountain Sports, and Keen discussed the nuances of political advocacy as big-name companies and what it means to stand for a cause. Outside Magazine’s Abigail Wise shared that the publication aims to reach a 50/50 gender split amongst their bylines. REI’s Alex Thompson fielded a tough question about the Co-Op’s role in denouncing gun rights (REI made a controversial move in March when it dropped one supplier that also sells guns). Keen’s Erin Gaines talked about the company’s Live Monumental Tour, which advocated for the designation of five national monuments in 2016, resulting in three permanent protections. Listening to these well-spoken individuals discuss the nuances of purpose-driven business made me think hard about the power of the outdoor industry to affect change. That got me more excited than any new piece of gear or free ice cream cone. As my peers enter purposeful careers in medicine, policy, education—professions where they seem destined to make the world a better place—I have often wondered about the values of pursuing a job focused on getting outside. In comparing myself to others, I’ve questioned whether I, too, can make a meaningful impact while still doing the things I love like climbing and paddling. After three days basking in the progressive energy at OR, my fears were alleviated. I felt validated in my desire to become a part of a community that I now know has unlimited potential to affect positive change. At OR, I was surrounded by bright individuals who think critically about the state of the world as it relates to outdoor recreation and beyond. Not only does the outdoor industry have the desire to make the world a better place, but the brainpower and the resources to make it happen. Boarding my plane home from OR, weighed down with stickers and extra Clif bars, I felt hopeful for the future, and eager to establish myself as a part of the outdoor community. I can’t wait for next year.